One of our favorite things to make are homemade muffins! 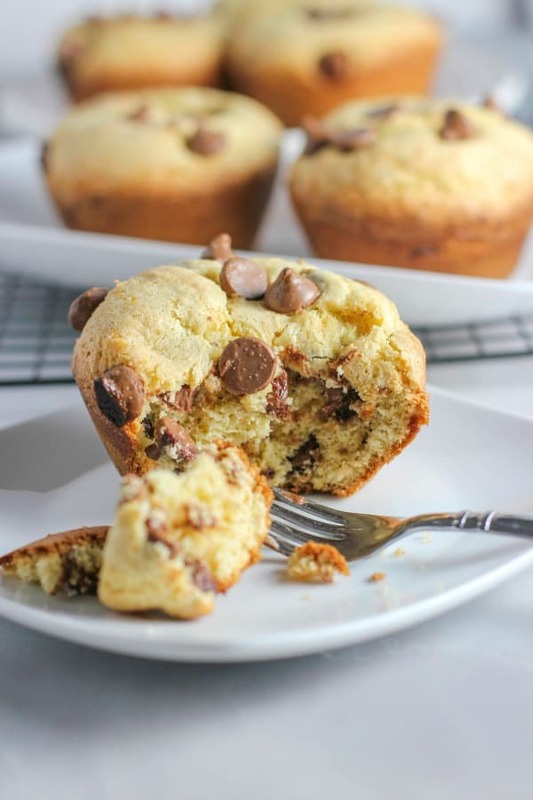 This Banana Chocolate Chip Muffins Recipe is so easy to make! 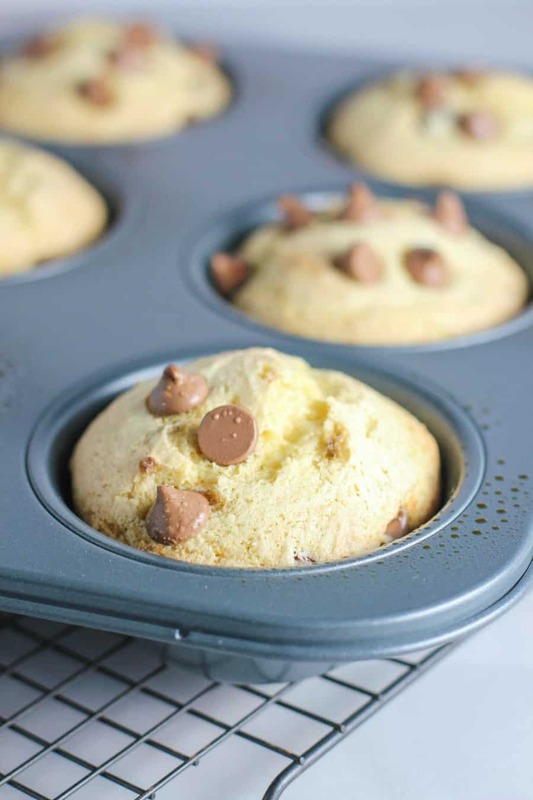 The whole family will enjoy this tasty Banana Muffins Recipe! 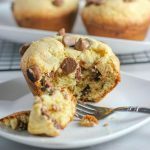 I absolutely love these easy 4 ingredient Banana Chocolate Chip Muffins! They are truly the perfect muffin if you are looking for something quick and easy and ready in under 30 minutes. Hi everyone, this is Jen and I write recipes and share fun tips over on PinkWhen.com. I don’t know about you but I am a big fan of all things banana. There are a few staples I grab every week at the grocery store, and bananas are always on my list. My family and I LOVE them. As you can imagine, some weeks get busy and I will end up with many leftover bananas on hand. If I don’t freeze them for later, I will make something yummy like this! 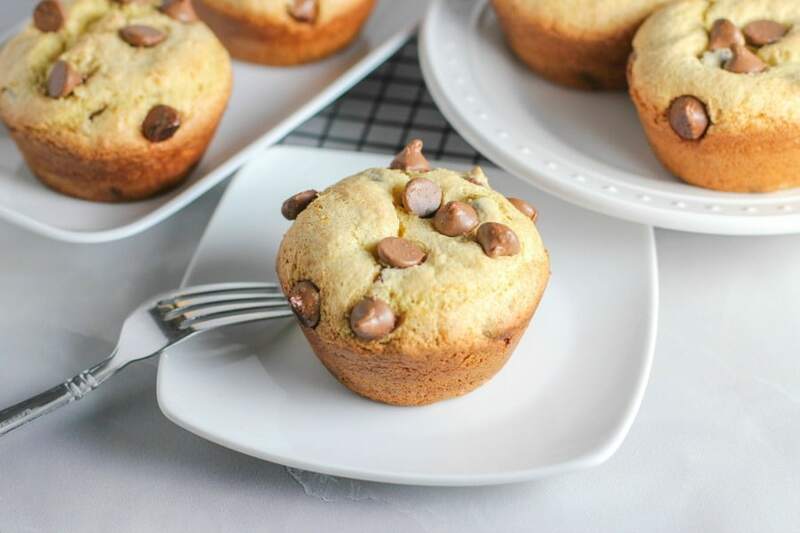 These Banana Chocolate Chip Muffins are so quick and easy to make. You only need to have a few ingredients on hand. And the best part, they take less than 30 minutes from start to finish! Grab your favorite cake mix. I like to use one of the super moist cake mixes for these muffins. Grab 2 eggs, 2 bananas, and 1/2 cup of chocolate chips. Take your 2 bananas and mash them. (Make sure you mash them well.) 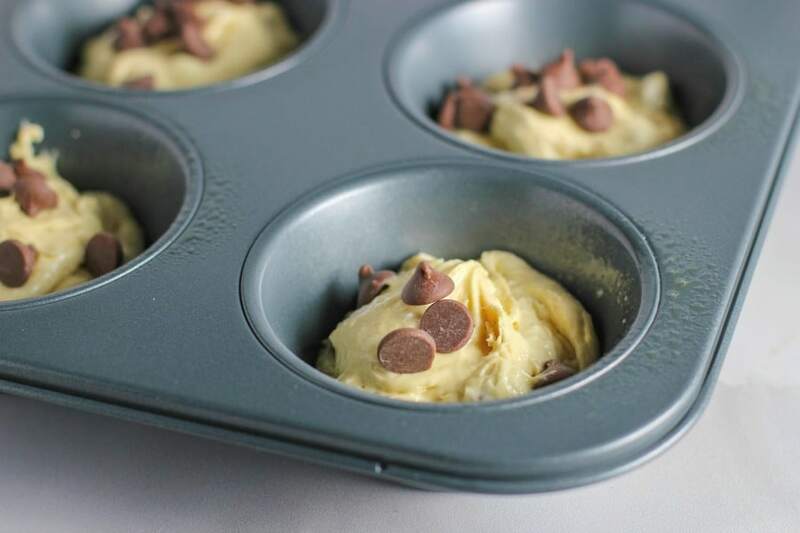 In a medium mixing bowl, add the cake mix, mashed bananas, eggs, and chocolate chips. Mix with a stand mixer or hand held mixer until the dough thickens up, usually after 1 minute. Place the mixture into the muffin tin and fill them to be about half way or just slightly more. I like large muffins so I use a larger sized tin. Add additional chocolate chips to the tops before baking if desired. Bake in a preheated oven for 19 minutes or until the tops start to turn a golden brown. I use a large muffin tin for this recipe, so cooking times can vary if you are using a regular cupcake tin. Make sure you start checking the muffins after 14 minutes if you are using a smaller tin. Once the muffins are baked, allow them to cool slightly for 2 minutes before removing them from the tin. Serve immediately. If you have any leftovers, you can keep them in the fridge for 3 days or even freeze them to snack on throughout the month. 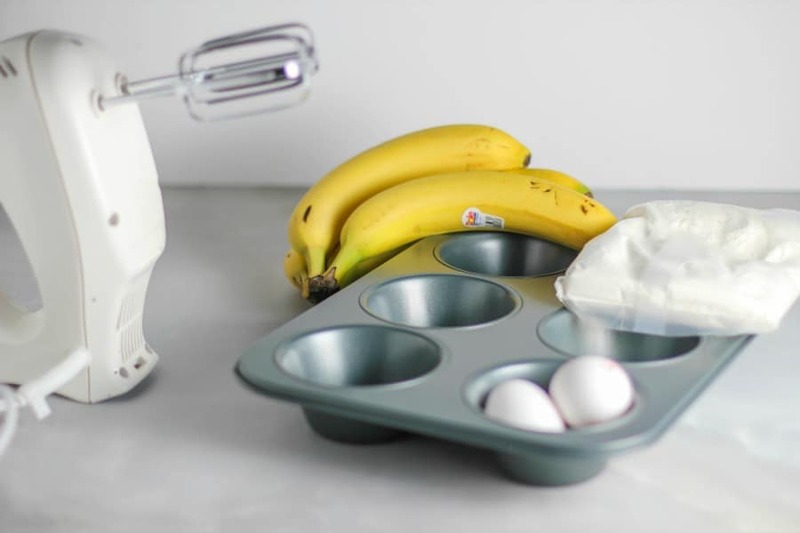 In a medium mixing bowl, add the cake mix, mashed bananas, eggs, and chocolate chips. I use a large muffin tin for this recipe, so cooking times can vary if you are using a regular cupcake tin. Make sure you start checking the muffins after 14 minutes if you are using a smaller tin. Once the muffins are baked, allow them to cool slightly for 2 minutes before removing them from the tin. What are your favorite things to make with leftover bananas? Don’t you love quick and easy recipes with only a few ingredients? 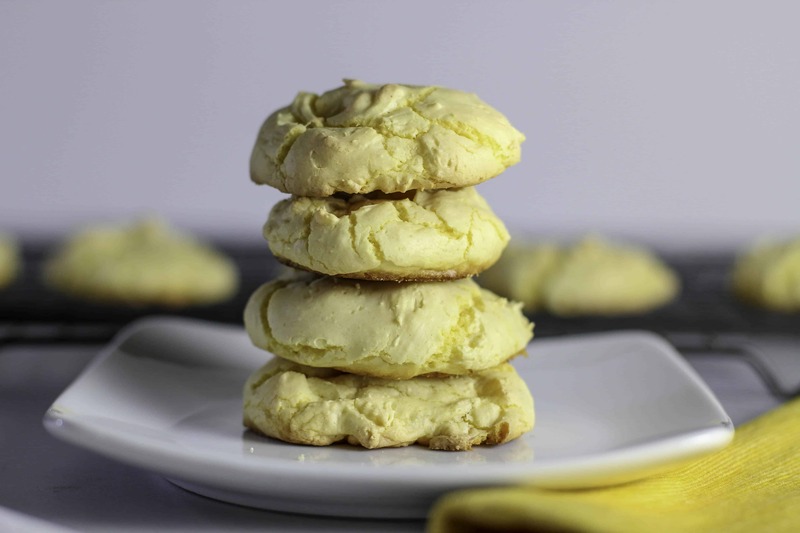 If so, you might also like these 3 ingredient cake mix cookies. 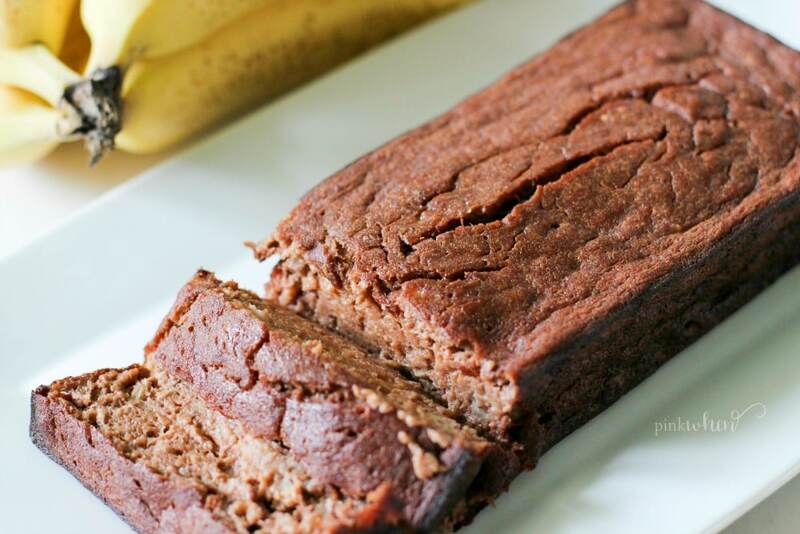 Or maybe this skinny chocolate banana bread recipe. and if you are looking for easy Crock Pot recipes, this Chicken Taco Crock Pot recipe is one of our favorites. Make sure you PIN IT for later. Love the cookies! so we’ll have to try the muffins this next week!! Thank you! PJ-Thank you. So happy you enjoyed them. My kids love muffins. They want muffins in the breakfast for at least 3 times in a week. 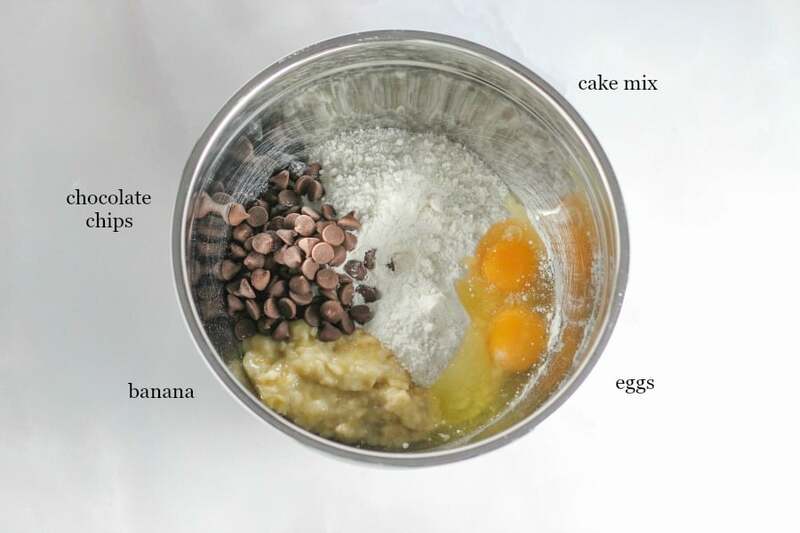 I will try banana chocolate chip muffins. These must be yummy and healthy. Liz- My family loves muffins too! 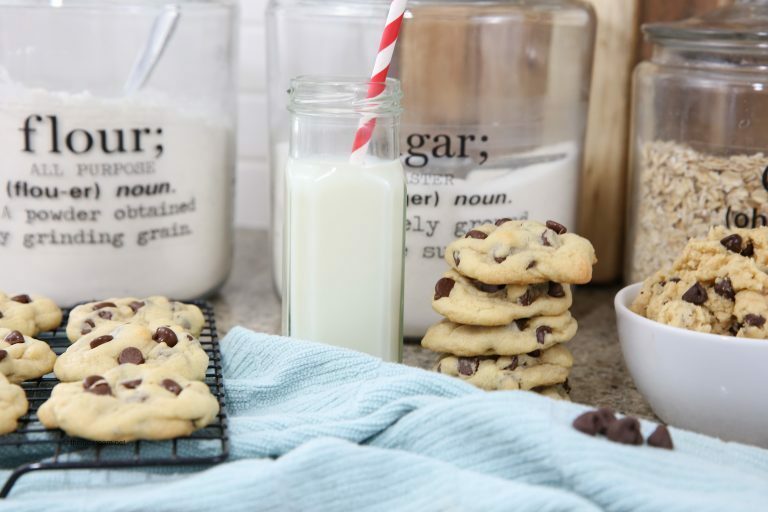 You should definitely give this recipe a try! John- I hope you enjoy the recipe! Can’t believe how easy this was. I had all the ingredients on hand too. Becca- Yay! So glad you liked the recipe. Kara- That is so great that your boys love to cook! Yum! 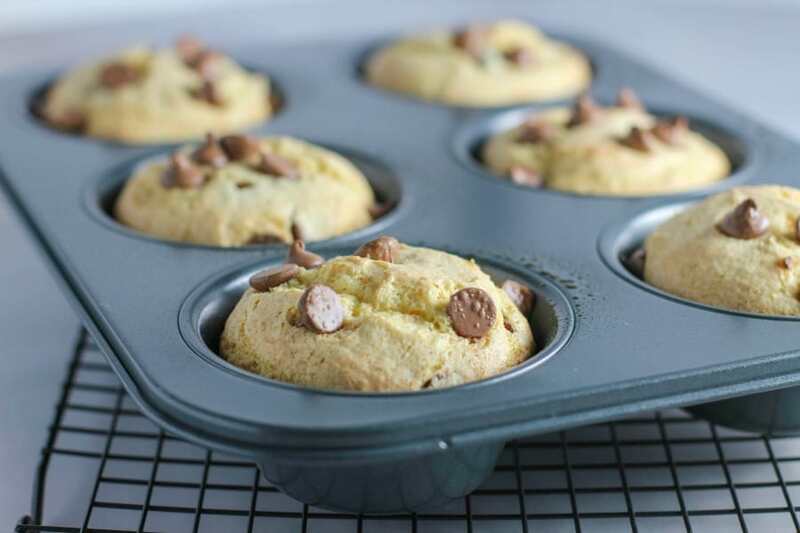 I love banana bread – I don’t know why I never thought to make it into a muffin! So much easier to grab on the go. Jennifer- It really is great to have a snack to have on the go. Made this for my family yesterday they are so in love with it! Thanks for sharing this amazing recipe! 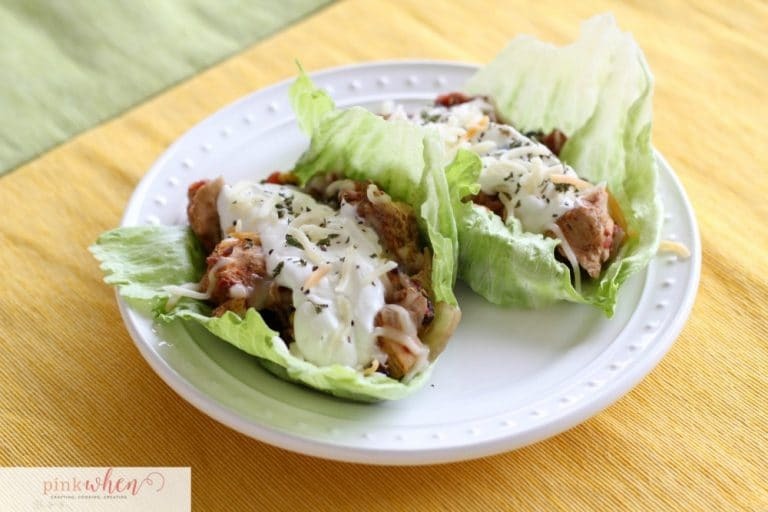 Tammy- So happy you liked this recipe! Very appealing visuals. Adding this recipe to my collection. Will try it out soon! Marie- So happy you like this recipe! It’s a family favorite.